Stepping outside the airport terminal in Darwin, the humidity wraps you like a thick fog. It’s over 90°F, and barely started on the walk to collect the rental car, our clothes are sticking to us. Our new Airbnb is nearby, our host is waiting, and we get all the instructions we need in short order. Two minutes after his departure, we are sitting in the pool. It feels heavenly, and slowly my brain comes back online. 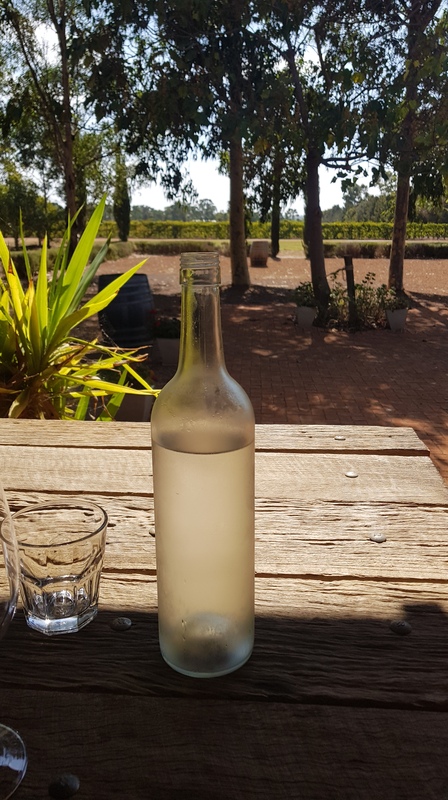 We are in Darwin at a good time, the start of the dry season. It may not rain at all while we are here, there are few bugs, and the crocodiles are retreating into the estuaries (I don’t think I will be swimming, just in case). 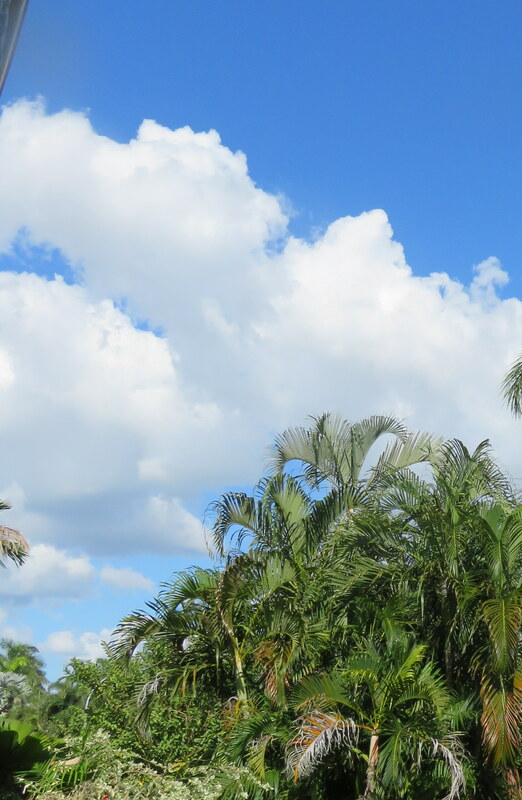 Within two days, we adjust to the weather by getting up early to look at birds and avoid the heat, shop in the air conditioned stores during the heat of the day, and swim or sit on the patio in the late afternoon. Cumulus clouds build into giant fluffy white mounds. They are the Queen Mum of clouds, in stately progress toward the horizon. 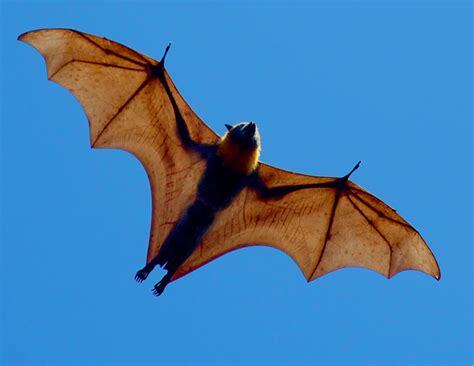 There are a surprising number of new birds in our yard and the nearby park, and a pair of huge flying foxes (bats) come out of a nearby tree at dusk. The last rays of the sun turn their leathery, translucent wings orange as they flap in a leisurely loop around the neighborhood (internet photo). When they return to the tree, they hang upside down. Folded-up, they return to their dark brown color, resembling a demented cat hanging by its tail. I’ve never seen anything like this. 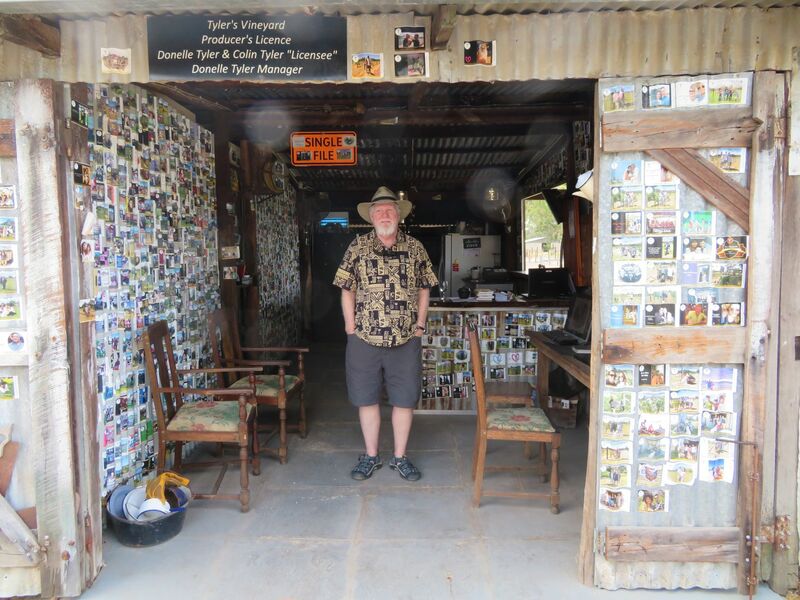 Welcome to Darwin, a different way of life. There are lots of places where we can watch the sun set over the water. 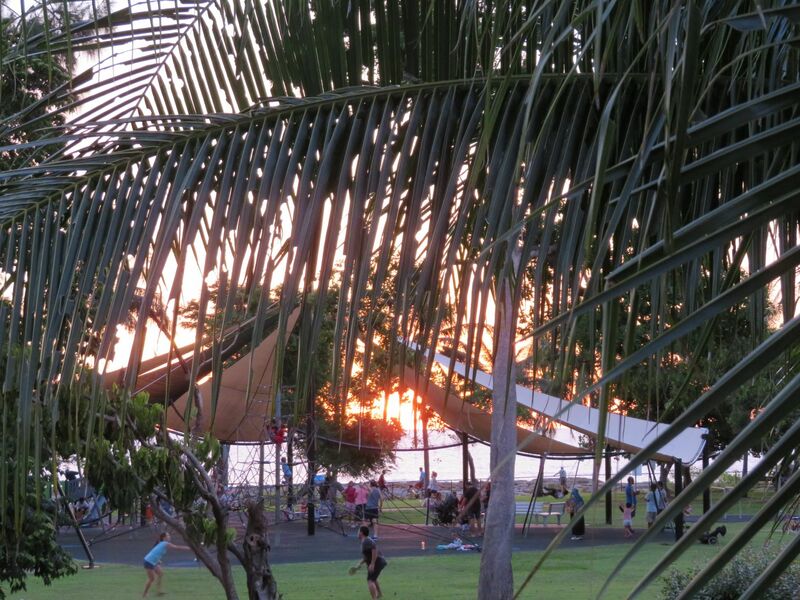 An hour before sunset, the park between our house and the beach comes alive. Families emerge to walk or sit and chat, while the “pock pock” of bouncing balls becomes noticeable. Bicyclists whiz along the path. The sounds of people in the parkland continues until well after dark. Streetlights come on but people disappear only gradually. It is much nicer out after dark than it was in the heat of the day. We spent a peculiar four days and three nights crossing Australia from Sydney to Perth. 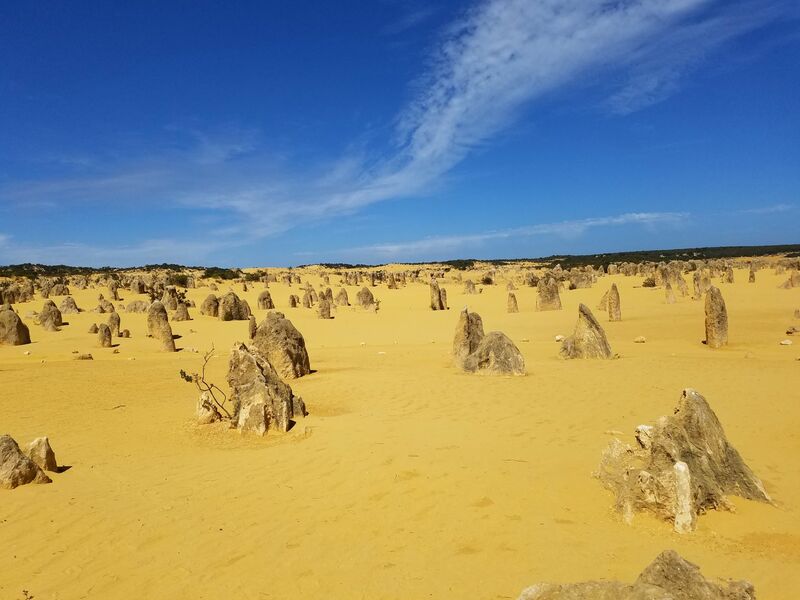 The trip included days of being glued to the train window watching the scenery as it went from tall trees to flat, dry, and empty, liberally dotted with kangaroos and emus. On the other hand, we took this trip to enjoy a number of interesting stops along the way. Due to a breakdown before we ever boarded, we didn’t get any of those opportunities that were such a large part of our decision to take the train. Never mind the downside, the view out the windows was fascinating! The land became drier and drier as we moved west. The soil ranged from red to white. Water for irrigation is running out and we saw recently abandoned grapevines. Salt flats between Adelaide and Tarcoola. 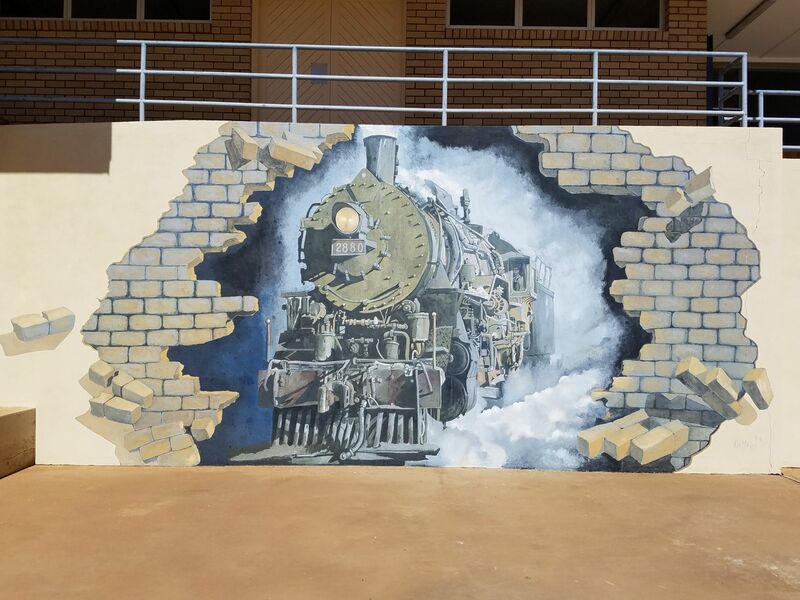 We got off the train for a few minutes at Broken Hill, which has interesting train murals. Twenty minutes was just enough time to walk up and down the platform and get some fresh air. Our next stop was Adelaide, and it was dark when we arrived. 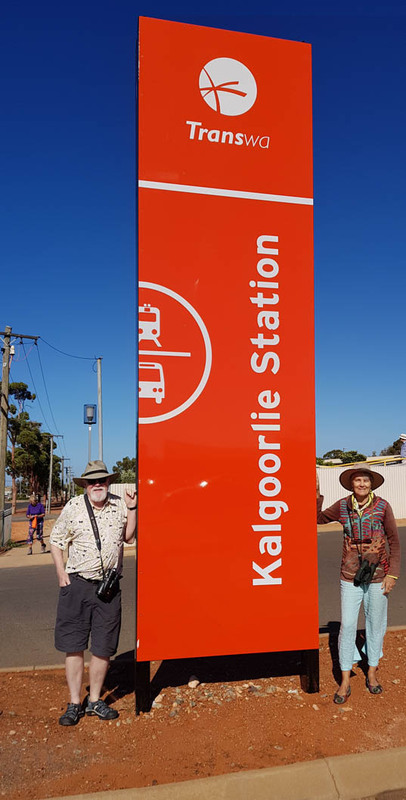 The final stop during the journey was Kalgoorlie, where we had an hour to stretch our legs. By then, our third full day on the train, everyone was happy to disembark for a while. We strolled around in the early morning light. Life on board the train was not uncomfortable, though it did get to be a lot of the same sights after three days of constant motion. There were only a couple of places where the route turned and let us see the cars ahead. 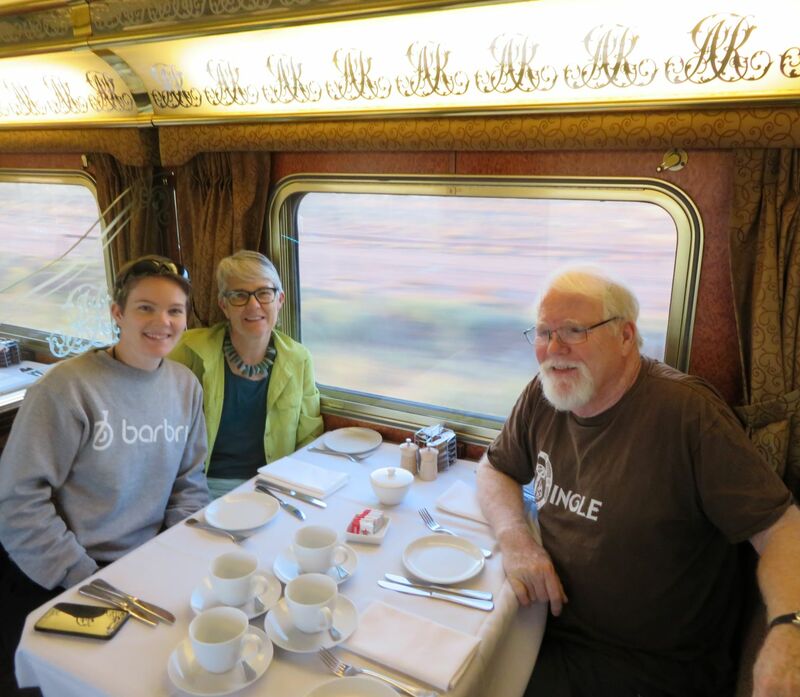 It’s always fun to eat in the dining car of a train, making meals an event. The food was good, and the company excellent. Having Lyra with us made it more fun. The three of us made a winning trivia, team, too. 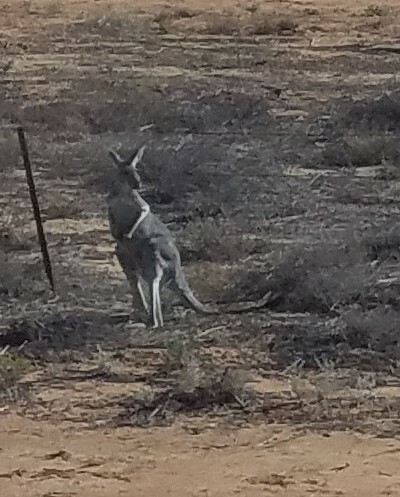 Outside the train, especially in the late afternoon, we saw kangaroos browsing as they watched us pass. There were emus, hawks, and other birds, though we did not see any feral camels, despite spending many hours looking out the window. The sunsets mixed orange sunlight with blue, gray and white fingers of cloud in patterns that changed as we watched. We arrived in Perth after dark, the last kangaroos long since passed. Disembarking was a bit like emerging from a space ship might be. We set down in another landscape, completely different than what we had been seeing out the window. Perth is a large city, and we had to re-engage with reality, find a taxi and go pick up our rental car. Our days of staring out at Australian landscape now over, though well worth the time spent. 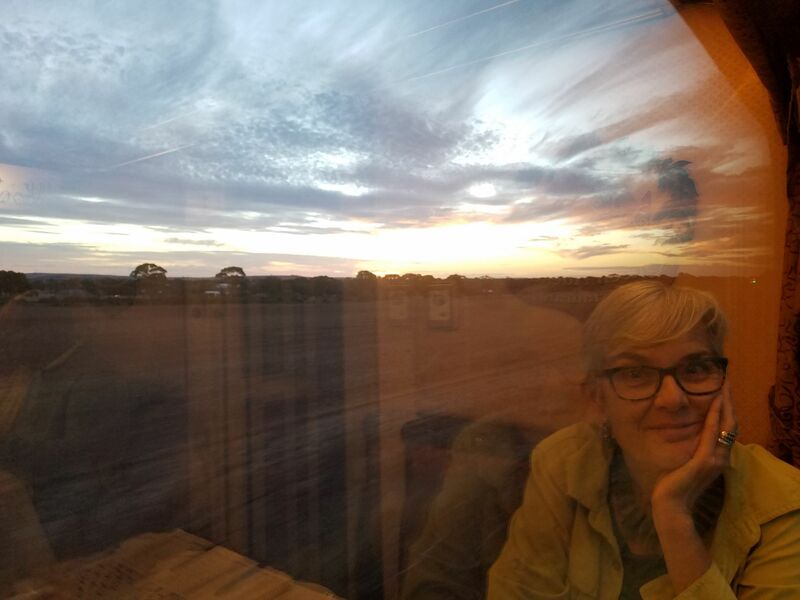 If anyone is interested in the story of how our Indian Pacific trip ended up with minimal stops, leaving Sydney late and arriving in Perth late, I’d be happy to tell you. 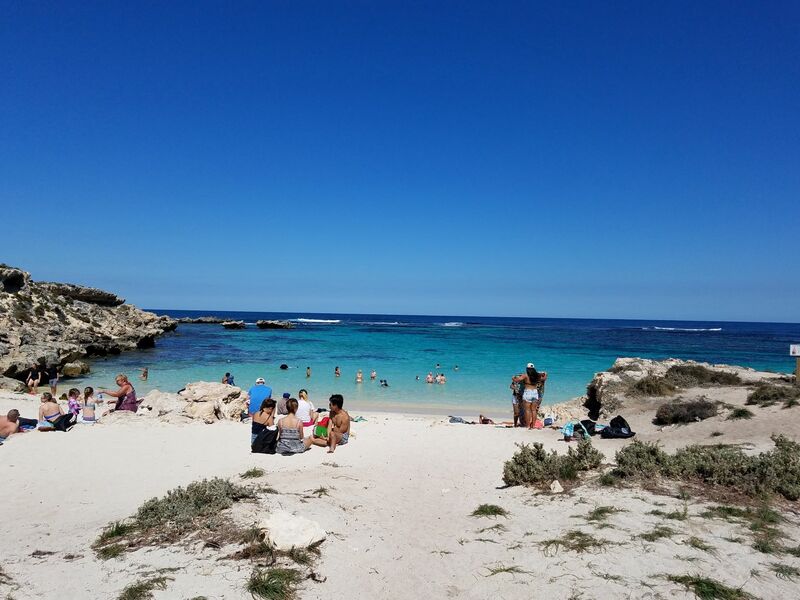 From the coast around Botany Bay and into Sydney Harbor, there are miles and miles of riverbank, bays, points, ocean beaches, and wonderful salt water pools. You can spend weeks exploring the coast and every walk is rewarding. We went beach combing and found star-shaped shells, cowries, and beach glass below strange rock formations carved by the waves and wind. Sydney may be a hub of industry and culture, but nature takes the spotlight, and for that reason, living in Sydney wouldn’t be my choice. Too much traffic into the center of town and houses tightly packed right to the edge of the beach. 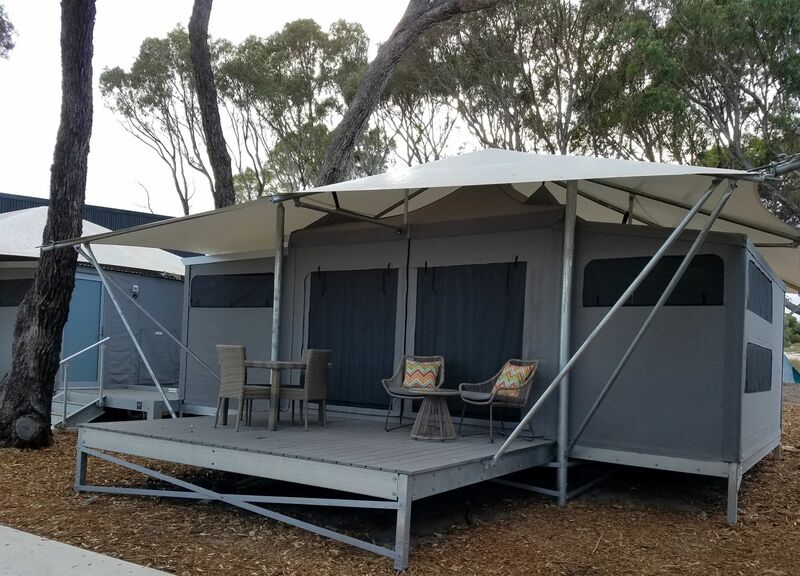 Airbnb: We had lots of places to choose from and were very happy with our location in Eastgardens, a five minute drive from Maroubra Beach and Mahon pool, yet on a bus line into the city (but see my Public transportation comments). As in Melbourne, our rental was half a house, yet we heard only a few footsteps from our neighbors through the wall. 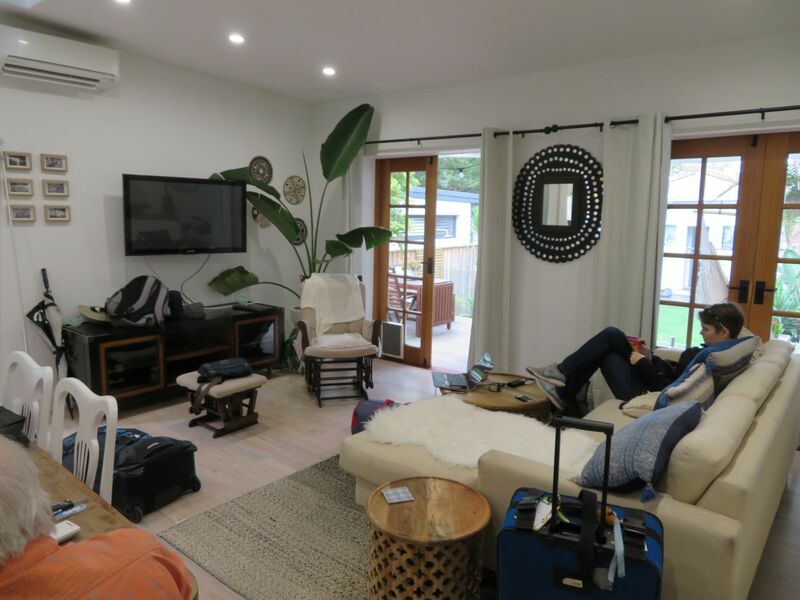 We were surprised to find a tiny studio apartment in our backyard shared the parking, entryway, and yard–this wasn’t mentioned in the Airbnb description. Fortunately, the tenants proved to be charming new friends. Art and Culture: Our favorite museums were the National Gallery of New South Wales and the National Library collection of art. We also enjoyed the Museum of Contemporary Art, including its collection of aboriginal art. We thought about going to Canberra to see the museums but we didn’t. 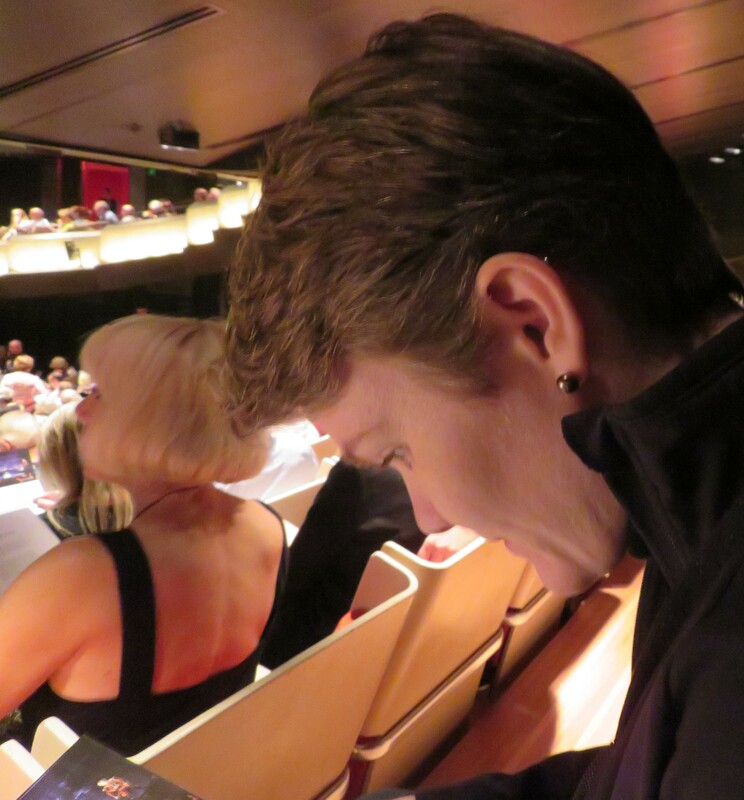 Our opera at the Sydney Opera House was excellent, we sat in the last row of the orchestra for about $100 per person. Expensive, but it was a rare treat. 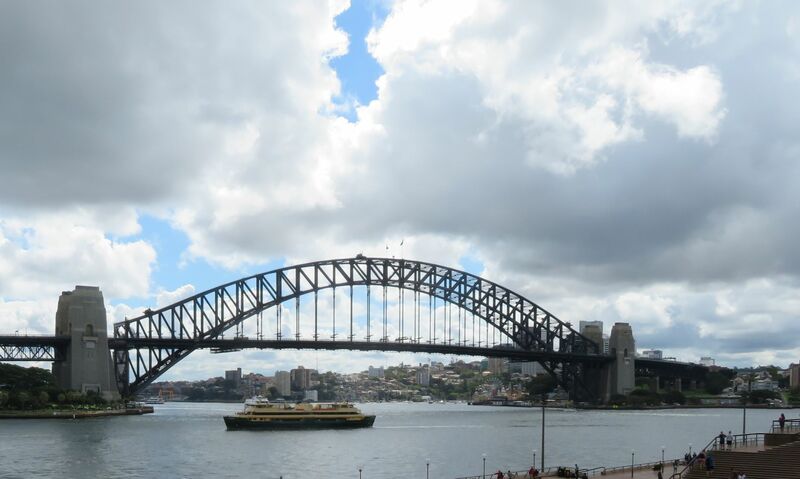 Cost of Living: Sydney has become one of the world’s more expensive cities. A wide selection of goods is available, with few bargains. Housing is expensive, transport is relatively expensive, food is a bit higher than average, restaurants are expensive….you get the idea. 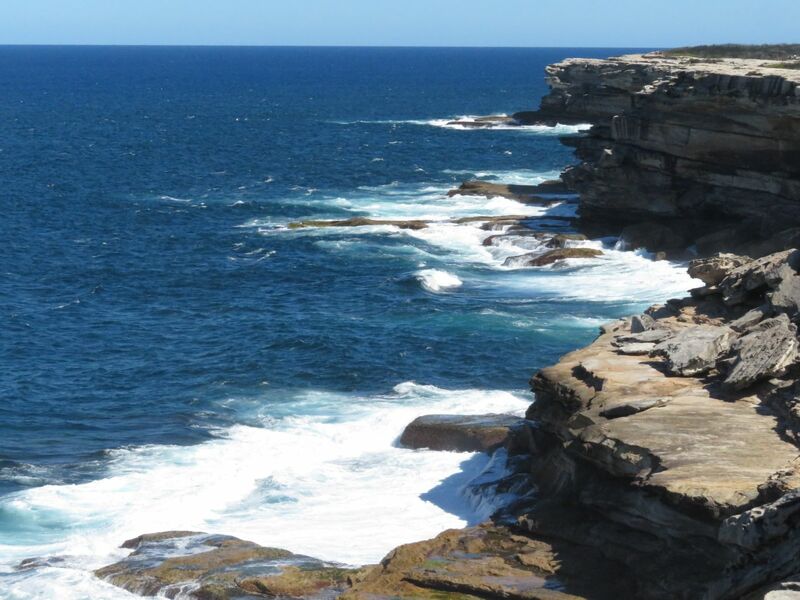 National Parks: Sydney has large national parks to the North, West, and South of the central city. Entry fees are determined by the regional government, and can differ from place to place. We found that purchasing a parks pass would cost more than paying for each visit, $8-$12 per day depending on the park. We spent a day hiking near Wattamolla Beach in Royal National Park, another day visiting the Jibbon Aboriginal rock art site near Bundeena, part of the same park. We went to the extreme southern point of Botany Bay in Kamay Botany Bay National Park, beyond the marker to where Captain Cook came ashore. We also drove out to Cape Solander. North of Sydney Harbor, we visited Lane Cove National Park, where we did some bird watching and strolled the pathways along the water. 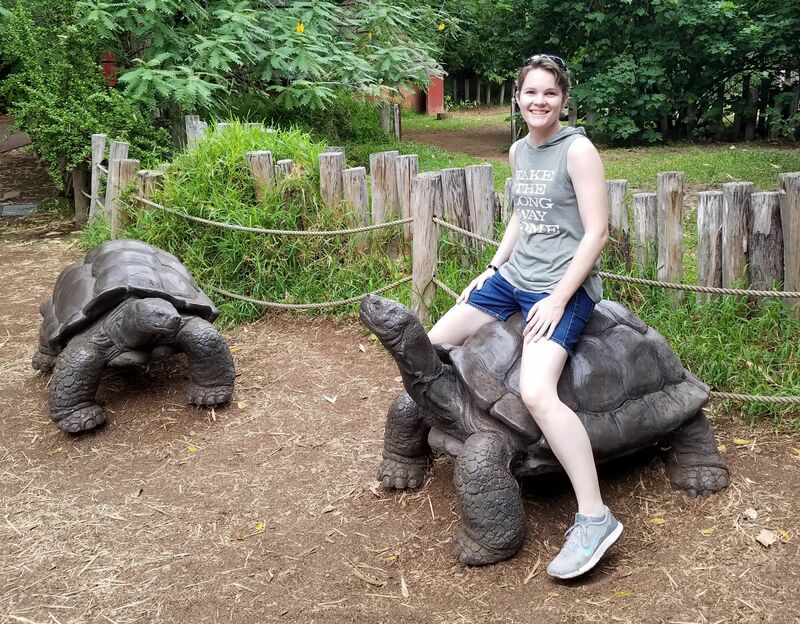 Each visit required a park fee. 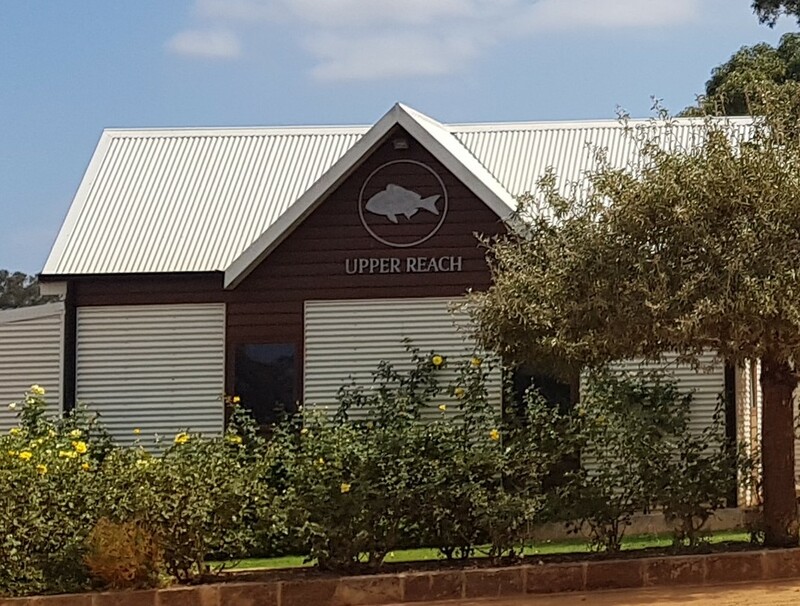 There is parking, along with toilets, picnic areas, and some visitor information. Phone Service: We continued to use our Optus SIM cards. For $30 per month we get more data than we can use as well as phone calls and messages. This works well for us. 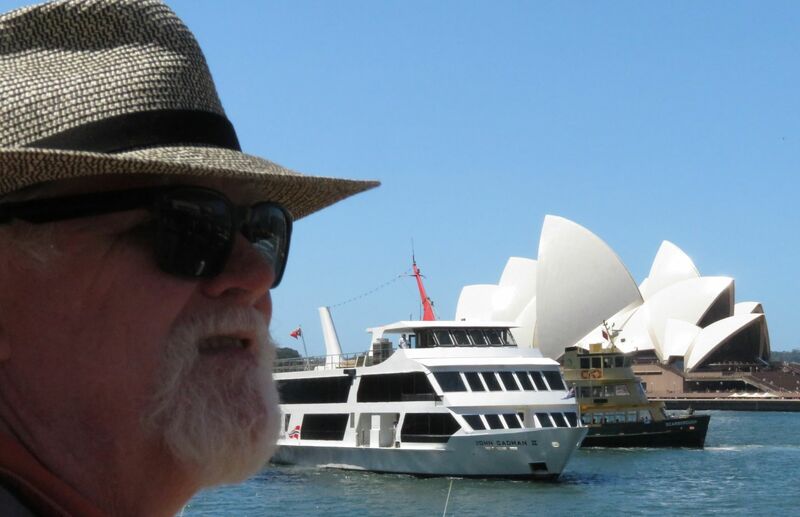 Public transportation: Sydney has a unified public transport system that includes trains, ferries, and buses. A new tram system is about to start up in 2019, though it was not open during our visit. Travelers need an Opal card, which is free, You add money (a top-up), then you hold your card to a scanner when you board and depart the vehicle to deduct the fare. Buses do not sell single ride tickets. The full price is $4.71 per ride. Occasionally the fare is less but it is impossible to find out what a fare will be in advance unless it is the full fare. Because the minimum recharge is $10, you can be short a dollar or two for your last fare before leaving, but you can’t pay cash, and you can’t use your card unless you put $10 on it. Lots of money gets left on cards that way. Train and ferry prices vary. Riding a ferry can be an alternative to a harbor cruise, though we didn’t get around to it. People recommend taking the ferry from downtown (Circular Quay) to Manly. You see the sights without the high price or the commentary. The buses were frustrating, they didn’t run on time and followed neither the printed schedule posted at the bus stop nor the Opal app run by the transport authorities. All you know is that the bus runs at least twice an hour. Next time I might skip public transport and use Uber to go downtown. Sydney Tower: We didn’t intend to have dinner in the tower, in fact I thought it didn’t have a restaurant, but when we were marooned in town on our day of departure due to train breakdown (see my post on the Indian Pacific), we were taken there for an early dinner. The view is spectacular as the restaurant revolves over the center of the city, and the buffet was fine. I recommend it for the great views. The sunset over Sydney Harbor with North Head in the distance. It’s a beautiful place. If prosperity is measured by the number of construction cranes hanging over downtown structures, then Sydney is very prosperous, indeed. Huge cranes are perched on top of twenty story office and apartment towers, old houses are being torn down in the city center and contemporary beach houses are replacing older single-story homes near the water. A few older buildings remain in the city center, though we found evidence of the ones being torn down, a very archaeological view. Extensive excavation of an early neighborhood of Sydney is preserved at the “Big Dig” site in The Rocks. Elaborately trimmed Victorian structures from bus shelters to houses can be still be found in the neighborhoods beyond the city center. Cast-iron balcony and porch railings on older buildings in Sydney remind me of New Orleans. The stately Queen Victoria Building covers a large shopping precinct. Older buildings nearby display glazed terracotta tiles. The Queen Victoria Building and the Sydney Central train station both have complex stained glass windows. Here are some of the quirky elements I noticed. 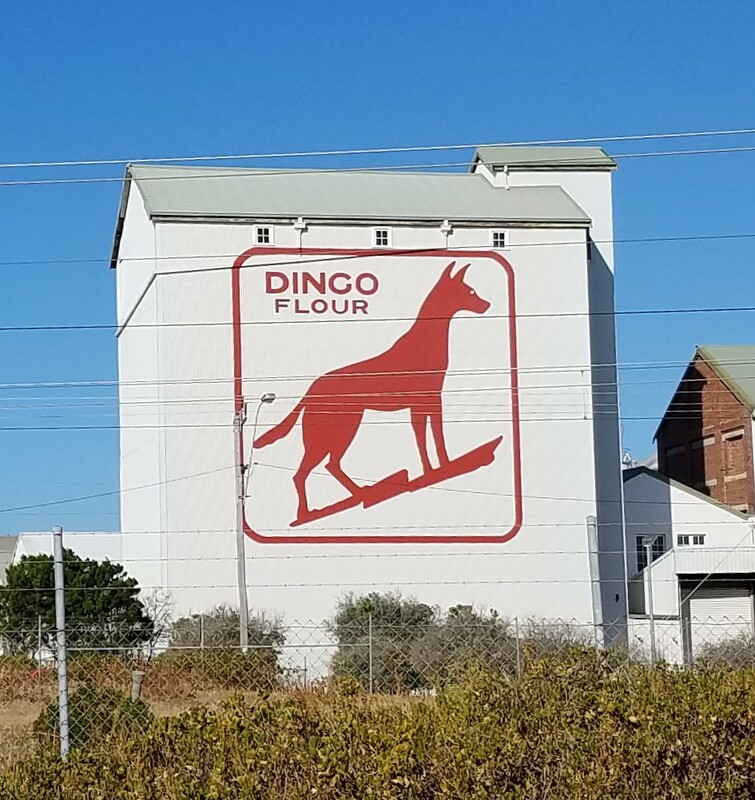 I like the Australian emblem with a kangaroo and emu holding a central shield. Don’t ask me why there is a castle atop the clock in the Queen Victoria Building. There are even some Art Deco buildings that have managed to avoid the wrecking ball. We didn’t see any private homes, but hotels and industrial buildings with characteristic deco features. Contemporary architecture is tall, and colorful or dramatic, if not as graceful as older structures. There is a lot to look at while walking anywhere in Sydney. The newest structures are the least interesting, very tall towers of glass. There is a lot to look at while walking anywhere in Sydney. We had a sociable week getting together with friends and family in Sydney, a week in which we met up with new friends from birdwatching, visitors from home, and finished up with the arrival of our daughter, Lyra. For us this was more festivities than normal and we had an unusually good time. 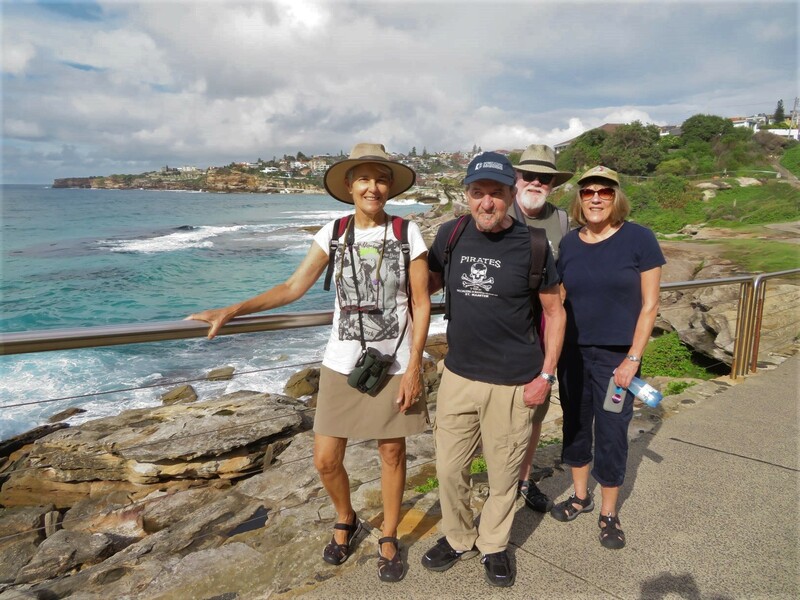 We met Barbara and Tony during a walk with a group from Birding NSW, starting at Deep Creek Reserve and going on to Long Reef Point. As we walked and looked at the birds around us we chatted with members of the group, about Chicago, Australia, birds, children, travel. It was an excellent day. Barbara invited us to come for Sunday lunch with them in Roseville, and at their home we met Donna and Neville, another couple with wide experience of Australia and beyond. Barbara’s garden is really lovely and the sun was shining on a some purple-leaved plants in a way that produced a bright spot of magenta beneath a tall spreading tree. The glass walls between living room and the outdoors were opened up so that we were at the dining table but felt like we were in the garden. We spent the relaxing afternoon appreciating the indoor/outdoor nature of Australian homes. 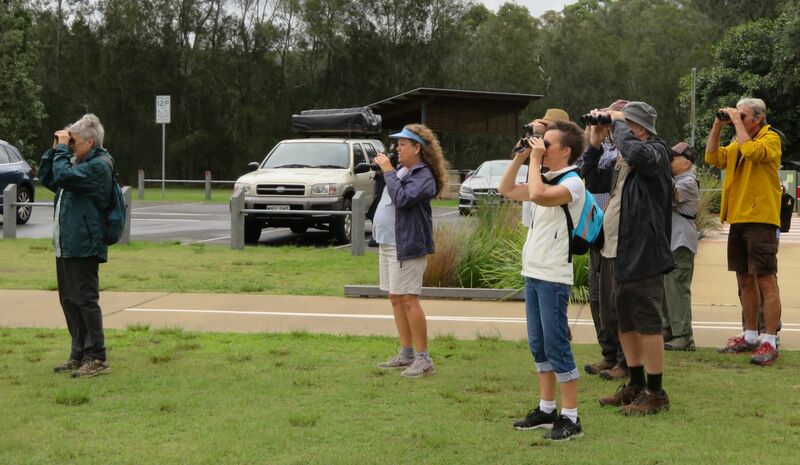 The same week, our good friends and colleagues Sue and Bob stopped in on their way to Brisbane. With them we went to stroll around the Opera House and Botanical Gardens. 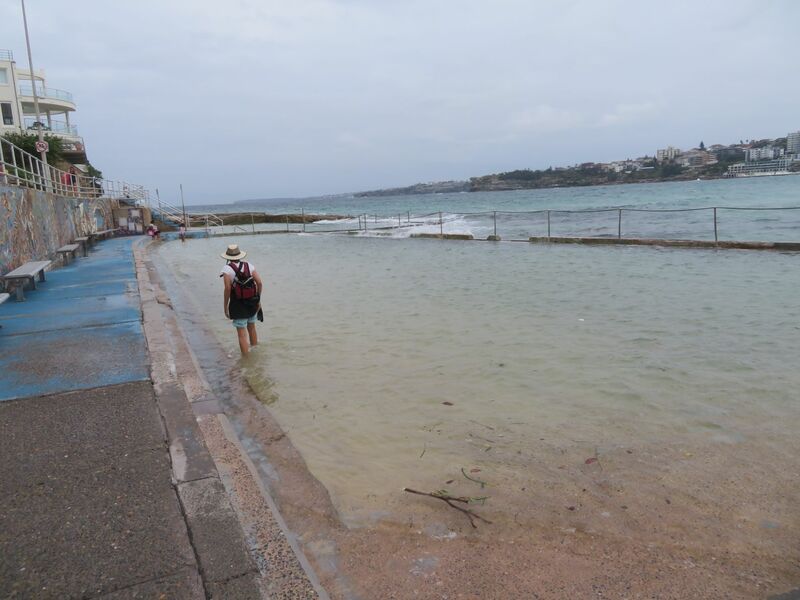 The next day we walked a section of the Bronte to Bondi Beach trail. We caught up on news from home and chatted about where we might cross paths next year over a few good meals. Greece, next time? Finishing out the week, we made one last trip to the airport to collect Lyra, who will be with us for two weeks. 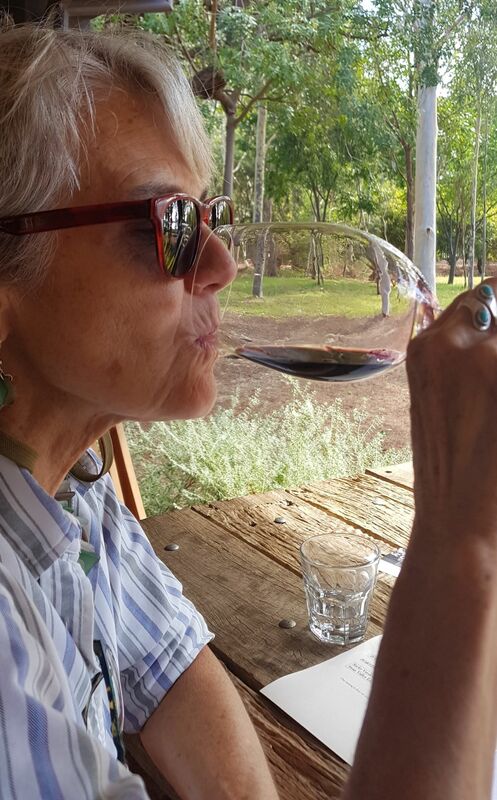 It is a special pleasure to have one of our children visit, and we are savoring every minute. 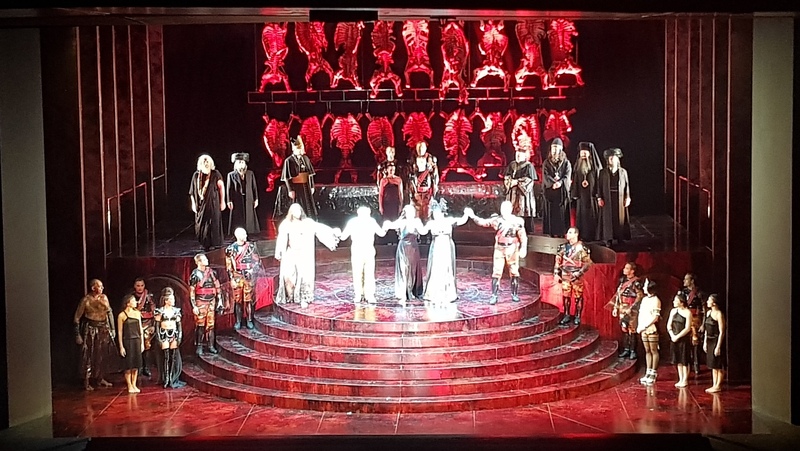 We decided to go to the opera while Lyra was with us, so after a very good dinner at The Bridge Room, we saw Salome in the Joan Sutherland Theater at the Sydney Opera House. The backdrop was black with what looked like skeletal rib cages in red. The voices were excellent. The Opera House is as interesting on the inside as the outside, as its unusual shape requires the interior facilities to adapt to the spaces created during construction. The theater is enormous with plenty of space under the highest of the “sails” that make up the roof. After that it was time to pack up and get ready for our next adventure. The forecast was rain, putting museum visits at the top of the day’s activities. 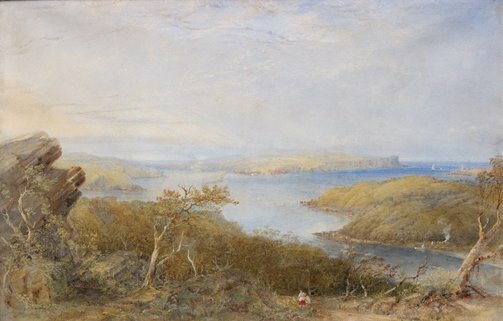 We have visited both the northern and southern extremities of Botany Bay and Sydney Harbor, so when I read that a painting of the view from the North Head was newly installed in the National Library of New South Wales, it became a must-see. We had visited the North Heads on a perfect day. It was also a beautiful a day when Arthur Streeton painted the view in 1894. 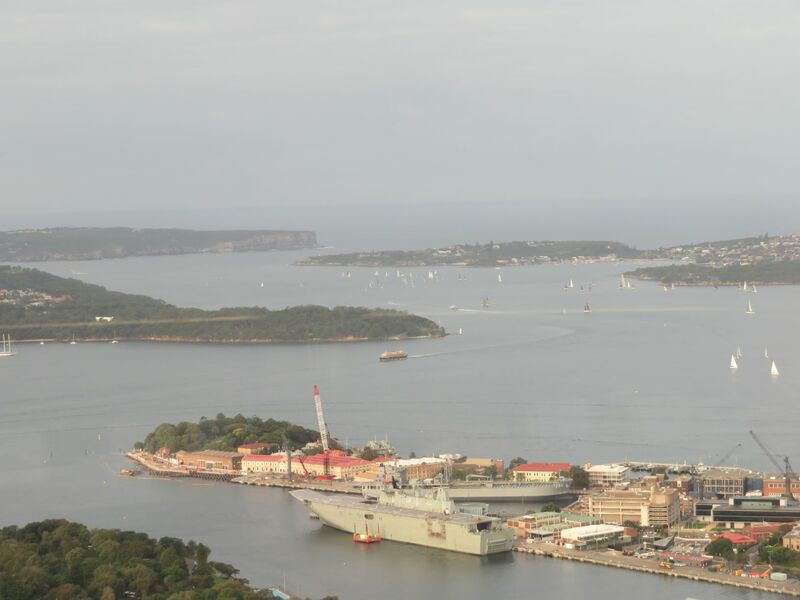 Panoramic View of Sydney Harbour and the City Skyline, depicts the complex entrance to Sydney Harbor. Streeton is one of the best known of late 19th-early 20th century Australian painters. I found other views of the same vista by painters of the previous generation, equally lovely. I get great pleasure from seeing a painting of a landscape I have visited. On the left is the North Heads by Eugene von Guerard in 1856, on the right by Conrad Martens in 1866. The landscape didn’t change much until the 20th century, yet each artist shows the bay in a slightly different way. Between the National Library and the Art Gallery of New South Wales, we had a tour of the history of Australian art 1850-1960. There were other places we’ve seen that look different today than they did when painted. Fairy Bower is still a lively spot between Shelly and Manly beaches. This is the Fairy Bower pool today (left) and when painted in 1956. Romantic paintings of the beaches are often so much lovelier than the reality. Both the above are from Bondi Beach, and the ones below show beachcombing. One last painting caught my eye because it depicts countryside that we have seen in the parts of rural Australia we’ve visited so far. 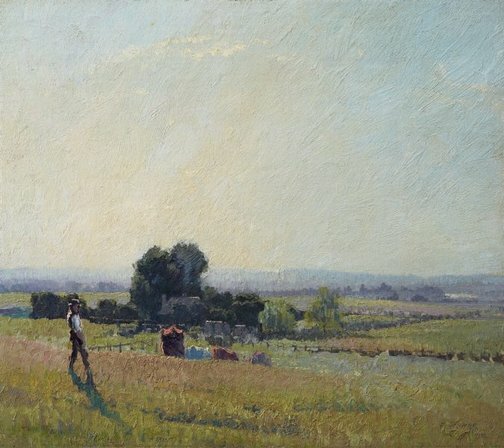 Morning Light, by Elioth Gruner, painted in 1916. 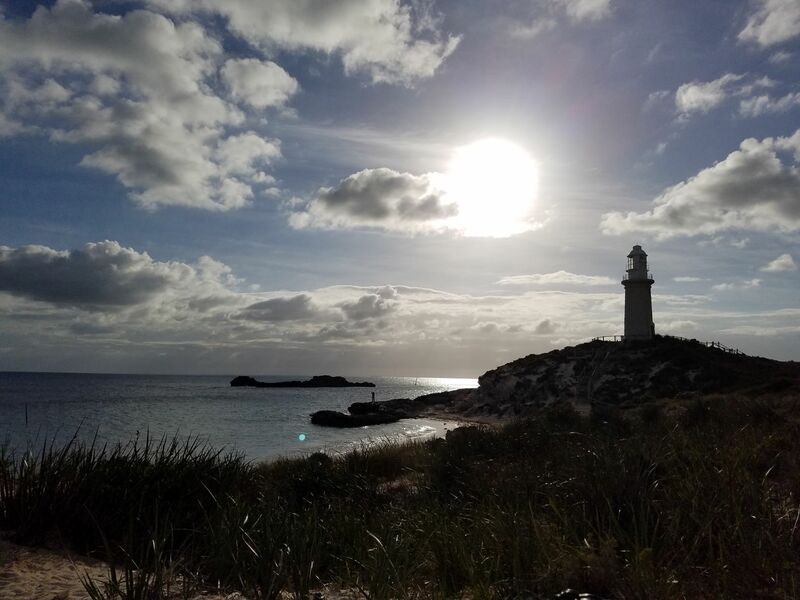 Few of the Australian artists are well known outside these borders, though their common themes of natural beauty and tranquility are universal. It makes me happy just to look at them. 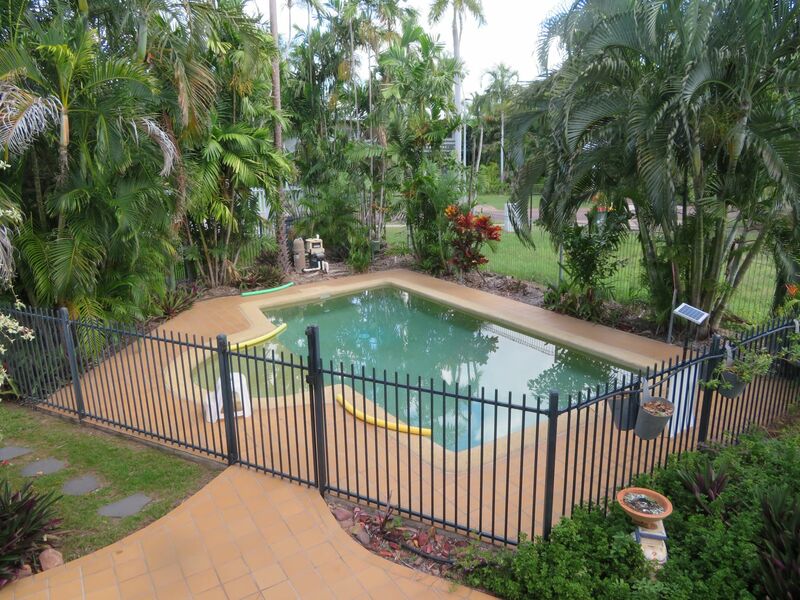 I read about the swimming pools built into the edge of the ocean in the Sydney area but I wasn’t sure how to find them. We went to beachcomb between Manly Beach–one of the favorite Sydney beaches–and Shelly Beach, a tiny patch of sand beyond Manly. There is a lovely walk between the two beaches where we found the “Fairy Bower” pool built into a bend in the walkway. I had to have a swim. It was high tide, and the waves did occasionally splash into the pool. The pool isn’t large or very deep, but has the advantage that there aren’t any jellyfish (very common along this coast), nor sharks. 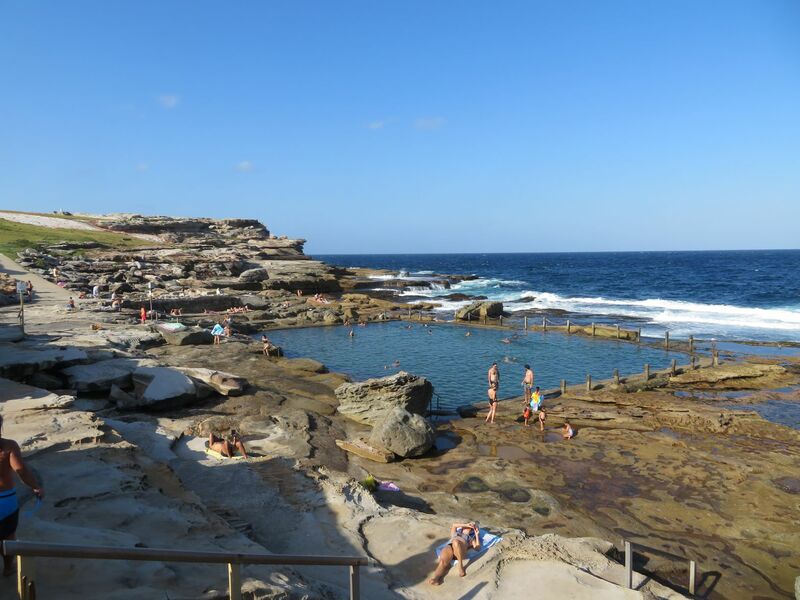 Captivated by the Fairy Bower, a little online research revealed that there are lots of these pools, including one at the north end of Bondi Beach, the other must-see beach in Greater Sydney. It was a little cool for swimming that day, but I waded around. 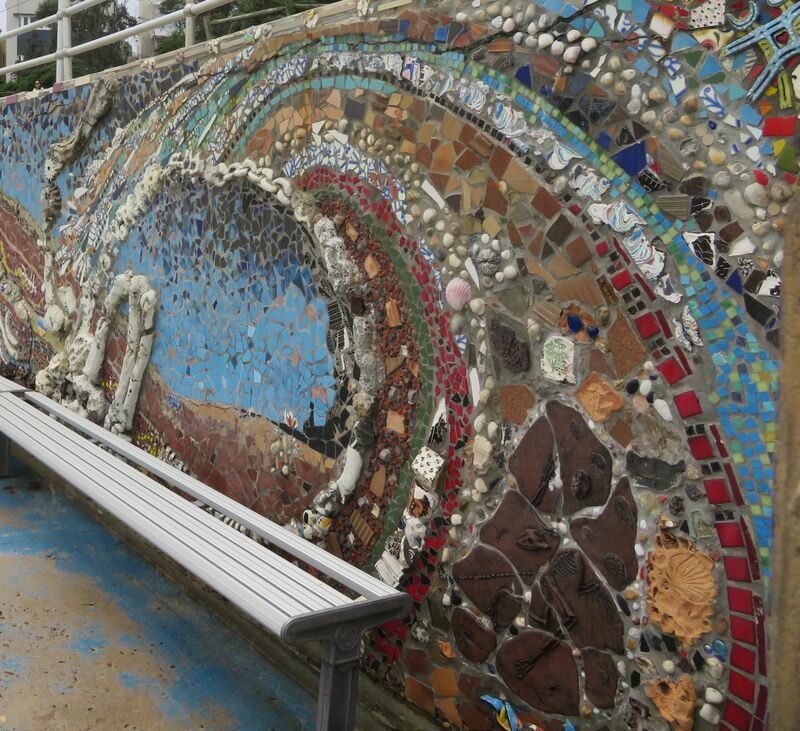 The Bondi pool has a wonderful mosaic along the side, and there is other artwork along the shore in this area including an impressive whale. Bondi also appears to be known for the large surf-lifesaving presence on the beach. We were there on a weekend and it was very busy despite the overcat conditions. People were surfing and swimming but in addition were about thirty lifeguards. Two first aid stations were set up on the beach, a guard on a surfboard paddled among the surfers, and another on a jet ski trailed back and forth beyond the surfers. Some looked like they might be trainees, but even so it was a heavy presence. Closer to home I found Mahon Pool, a rock pool north of Maroubra Beach, just down the road from our current home. I went for a dip and it was as much fun as the others. 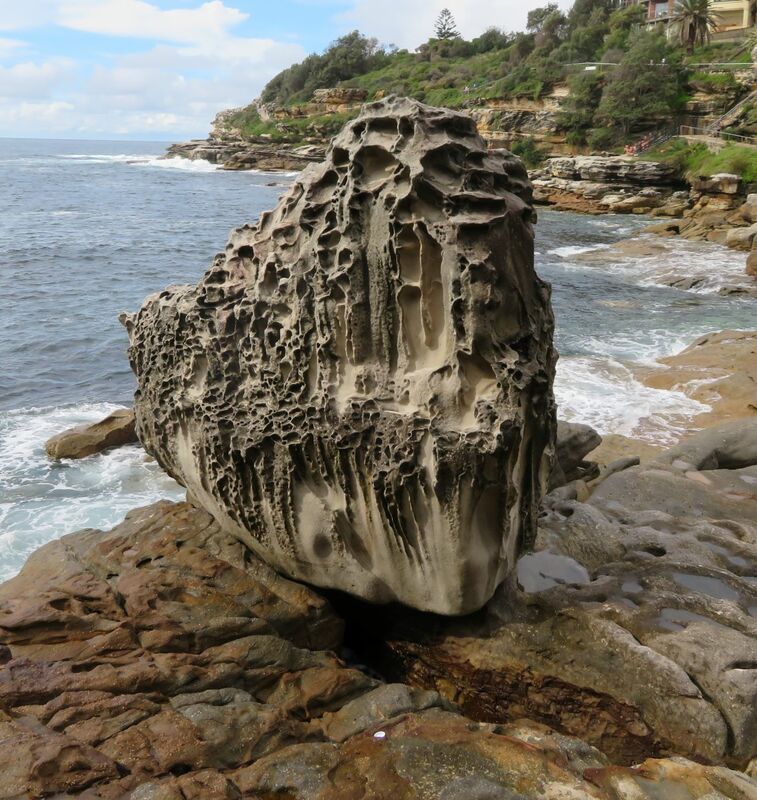 Mahon Pool is cut into the rock, not poured concrete. The bottom is irregular and the cracks in walls and floor are home to snails and limpets, even a couple of tiny fish swam by me. These gorgeous pools, complete with bathrooms, changing rooms, and showers are free of charge so far. I’m going to visit as many as I can.